Sean Leon hailing from Toronto, Canada is back with a new track called “Keys To The City” produced by Jordan Evans. 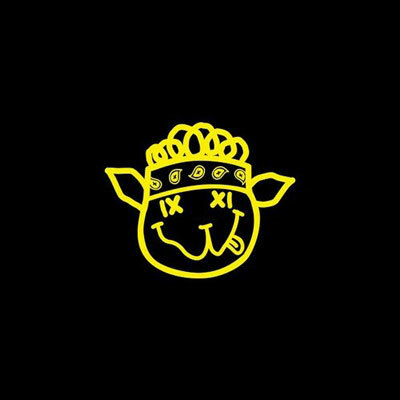 This track is yet again a dope release by the ixxi artist! It was a lucky night at the Dansforth Music Hall in Toronto for Action Bronson Fans. The 2 High 2 Die tour was taken to another level when he premiered two new songs off the Blue Chips 2 project. We can expect the “Blue Chips 2″ project sometime next month right around Thanks Giving. I’m sure Action Bronson will be extra thankful. Tonight Kendrick Lamar brought out Toronto’s very own, Drake, during his BET Music Matters tour in Toronto. Drake performs “HYFR” while his city sings word for word. Hopefully next time we see these two on the same stage will be performing their song “Poetic Justice” that appears on Kendrick’s album good kid, m.A.A.d City that hits stores on October 22nd. A man was shot Thursday morning at a Young Jeezy concert in Toronto, Canada. Jeezy was scheduled to perform at the Sound Academy, but was forced to cancel before taking the stage. The shooting happened inside the club after a man in his 20’s got into a verbal altercation with at least one other man. The man in his 20’s then got shot 3 times in the upper torso. He was driven to a local hospital, and is currently in a serious, but stable condition. No arrests have been made. Jeezy tweeted about the incident below. 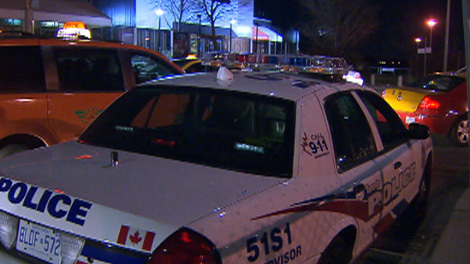 Backstage @ Sound Academy in Toronto!Police closed venue and cancelled the greatest show!!! I will be back! Next stop London, Ontario! Well is that so Mr. Graham? Seems like the rapper, Drake, might be in trouble with his own city over a billboard. This past October a billboard was put up to promote his recent album “Take Care”. 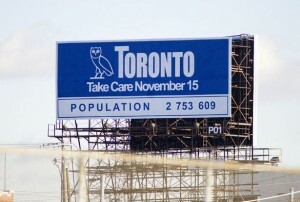 The billboard includes; “TORONTO” promoting his city, with the album title, date of release, Population 2,753,609 underneath, and his OVO Owl logo for his October’s Very Own brand.